Finding the right fit is important and we can advise you on a product that will suit your business. An efficient way to manage the payment of taxes to meet your cashflow. Using IRD approved tax pooling intermediaries, we can purchase tax at the date it should have been paid to reduce IRD interest and IRD penalty costs. Having trouble meeting upcoming tax payments? Talk to us about the help we can offer. MYOB offers a variety of solutions for businesses. As MYOB connected partners, we can recommend the product that will best suit your needs. Products include MYOB Banklink, MYOB Cashbook, MYOB Account Right, MYOB Essentials, MYOB Payroll, ACE Payroll. These are on-line or stand-alone products. Talk to us to see if MYOB is right for you. Businesses need to plan for future growth and manage cashflows. Using a robust forecasting model we can quickly prepare forecasts for one to five years, including not just a profit and loss forecast, but a cashflow, balance sheet and supporting assumptions. This is critical for new businesses and useful for banks. Contact us to discuss how this would benefit your business. The proper management of trusts is crucial to ensure your trust is up to date, has had correct records and resolutions and is operated in accordance with the trust deed. 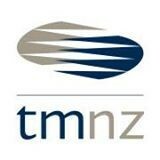 With iTrust we record all aspects of your trust to enable effective management of the trust process. We can also easily prepare various trust documents if required. Want better trust management? Talk to us about iTrust. 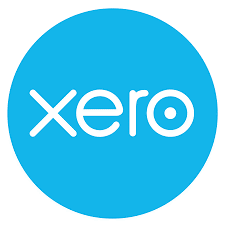 We are a Xero Partner and can advise on whether Xero is right for your business. Xero offers a basic cashbook or full ledger service and is provided in the cloud. Xero offers a range of associated products which may suit your needs including Workflow Max, Payroll and Stock. Talk to us to find out if Xero is right for you. IRD audit and review activity is increasing. We will manage any queries from the IRD on your behalf. To mitigate the potential costs of dealing with the IRD, we offer audit accounting insurance. For a small premium all our costs will be paid direct by the insurers. Interested in protecting your business from unexpected accounting costs from an IRD audit? Contact us to discuss. Ask us – if we cannot provide the right solution for you, we will put you in touch with someone who can.